The pod hotel’s philosophy of creating small smartly-designed room for young techie travelers fits right in New York, although $250 seems steep for its limited amenities. By next summer, there will be a very visible, 24-story tower Citizen M in the heart of New York City. Expect rates to be somewhere in the ballpark of around $250 a night. There are four citizenM hotels in Europe spread between London, Glasgow, and Amsterdam. Photo by citizenM hotels. 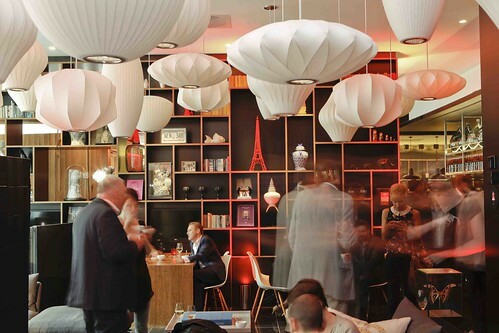 If you visit a Citizen M hotel, expect unscripted service, living room-like public spaces with sleek leather couches, bold colors and tech-friendly features, and a grab-and-go eating area that resembles a high-end kitchen you might find in someone’s sophisticated home.